Footprints in the Sand is a raw and personal journey affording the reader a first hand insight into the roller-coaster ride of grief. 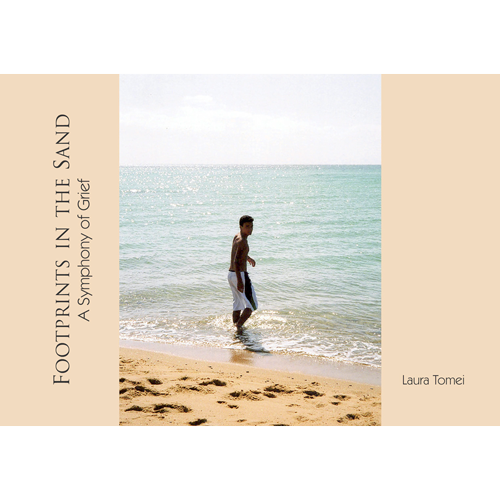 The sudden suicide of her only child Alexander catapulted Laura Tomei into a surreal world of impossible despair… Footprints in the Sand is a raw and personal journey affording the reader a first hand insight into the roller-coaster ride of grief. From the most candid heartwrenching descriptions of anguish, the processing and surrendering to what cannot be reversed, and finally the comfort of precious spiritual insights Laura describes as 'the hidden gift' within the tragedy. This is a story offering hope to those who grieve the loss of a loved one.